There are some upbeat songs on this which put me in mind of a more 60 ‘s sound on the guitar. Not overly produced with just guitar and percussion and/or drums. 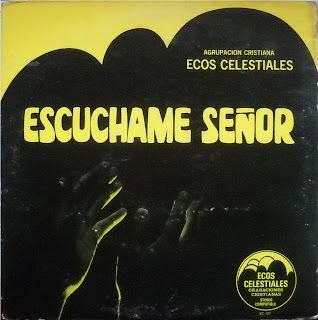 A few slower more gospelly numbers and one child’s number too, the final song soy de Cristo has a nice guitar solo in the middle of the song. 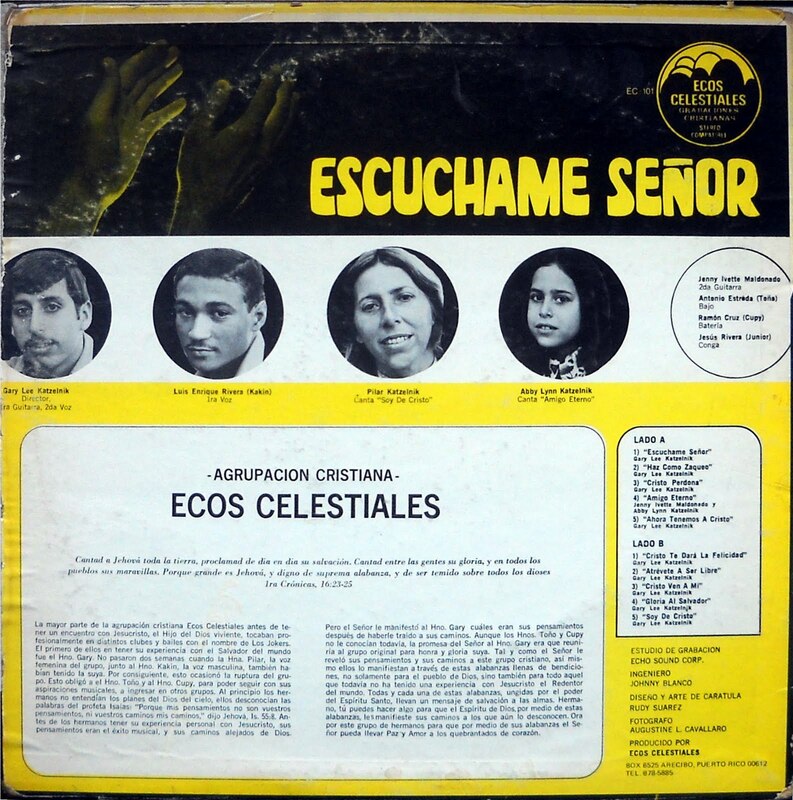 Not exactly your average Jesus music just fun to know Jesus was being lifted up in Puerto Rico. Not found in (The Archivist by Ken Scott, 4th Edition). Review by KS. with enough psychedelic sounds but also straighter Beat. of it under the name the Berets. and a link to the original Barritas album as well. 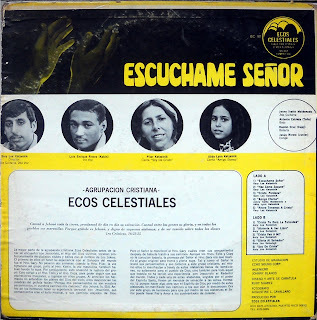 I bounced this album off of my Puerto Rican friends at church, and they remember Ecos Celestiales well. This is an amazing find. I used to listen to this record from a neghbor’s house when i was a kid. 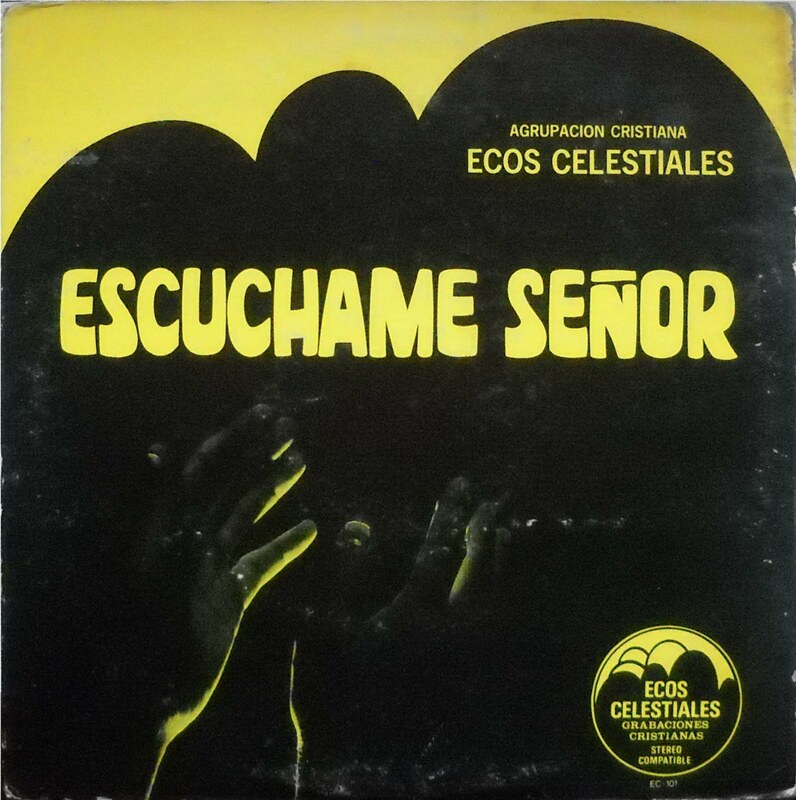 The sonog Escúchame Señor is sung with such a nice gut felt honesty, that it lingered on my memory through these years. It goes something like this: Listen to me Lord, give me your hand, I ask you please. Take the mud away and fill my life with joy, don’t let me suffer anymore.” Then, it goes on to say “The sun will not shine and the moon will not give its light and the stars will not sparkle and it will be the End”. Surely, a greart find. hey, the music is clancky but the attitude is not. Hey it was fun to find this and share it! My wife and her family are originally from Puerto Rico so it had an attraction for me. I’m glad at the responses from those in the know. Thanks! and I appreciate the interpretation, since I didn’t ask any family to do so!!!! The participants in this blog are great. Thank you so much for putting this album up! I am actually one of Pilar Katzelnik’s 4 granddaughters. it warms my heart that people still listen to this album. my mom, Abby Katzelnik, was just a little girl when she sang “Amigo Eterno” and my uncle, Gary Katzelnik, is now following in his parents footsteps and evangelizing all over the world. I miss my grandmother so much. she actually passed away about two years ago and this just reminds me once again how amazing she was and that God truly used her in incredible ways.